In the interests of the Spending Planners Industry, this document has been kept simple and short. However, it will be amended and added to from time to time as necessary. Please check with the Spending Planners Institute as to the most current version. The Spending Planners Institute is the accredited body for Spending Planners globally. Members are expected to maintain the ethics of the Spending Planners Industry. Should a Planner be found to be working outside these ethics, the Institute reserves the right to remove accreditation and membership. Members are expected to maintain a high ethical standard with customers, the Institute, other Spending Planners and the community at large. A Certified Associate Spending Planner is a person who has undertaken and completed training which allows them to work with clients, under the supervision and direction of a Certified Spending Planner. Certification of a Certified Associate Spending Planner (CASP) is held by the individual, not a business. A Certified Associate Spending Planner does not have direct access to Spending Planner software, and may only access this via a Certified Spending Planner. Any person who is working with clients must be at a minimum a Certified Associate Spending Planner. A Certified Spending Planner is a person who has undertaken the Certified Spending Planner training which allows them to work with clients. Certification of a Spending Planner is held by the individual, not a business. A Certified Spending Planner has direct access to the Spending Planner software, and may have Certified Associate Spending Planners (CASP) working for them. It is the responsibility of the Certified Spending Planner to ensure that ANY person who works with them, having access to the Spending Planner software and/or deals with clients in respect to their spending plans, MUST be a Certified Associate Spending Planner. 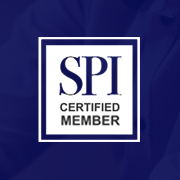 A one (1) year Membership to the Spending Planners Institute is granted automatically on successful completion of the Institute’s Certified Spending Planner or Certified Associate Spending Planner Program. This first years’ membership is free. The only condition of the first year free Membership is that the Planner must have participated fully in, and completed, all of the Certification Training program. Renewal notices are sent annually, on the first (1st) day of the month in which membership is due for renewal. Fees are due and payable by the 21st day of the renewal month. Membership is annual and a certificate of membership will be issued and sent at the end of the month, providing fees have been received. If a Membership Fee is not paid on time, then late fees will be applied automatically. PLEASE NOTE that this will commence in October 2017. In order to maintain the standards of the industry, and to ensure each Planner is upholding these standards, each year, at the time of membership renewal, Planners will be asked to undertake an assessment by the Spending Planners Institute. This assessment is designed to demonstrate the Planner’s knowledge and understanding of the Institute, ethics, the business model and systems and processes. This assessment will form part of the Renewal process and will be delivered online. The Planner’s certification will be suspended during the time until the re-Certification has been completed. The Spending Planners Institute will work with the Planner to ensure clients are not disadvantaged by this situation. Re-Certification must be completed within 120 days. If re-Certification is NOT completed within 120 days, then the Planner’s membership will expire and the conditions listed under Expiry of Membership will apply. Currently, there are no ongoing training requirements for Planners. This position will remain under review and will be changed should it be determined by the Spending Planners Institute that a need for ongoing training by Planners is required. However, Planners must demonstrate a proficiency with the business model in order to maintain their membership. This will be determined by a testing process which needs to be undertaken each year at the time of renewal of membership. Due to ongoing changes in the industry, software upgrades, and growth of Planners, it is highly recommended that both Spending Planners and Associate Spending Planners complete the certification training at least every two (2) years. This is offered to Planners at a highly reduced cost and will ensure Planners are kept up to date. A Spending Planner business is only to be undertaken by a Spending Planners Institute Certified Spending Planner. It is between the seller and the owner as to how trailing commissions on the Spending Planner software are handled. Should these be split (ie, the buyer retains software only clients and the buyer retains current clients), then there will be a fee payable to the Institute to set up the split. Contact the Institute to obtain details. It is a condition of certification and membership that Certified Spending Planners who hire staff must ensure that any staff member working with clients on the Spending Planner systems, processes and Spending Planner software must be qualified at least to the level of Certified Associate Spending Planner. The Spending Planners Institute understands, supports and encourages, Planners to come together in groups to share ideas, support each other, grow and network. In order to maintain the standards of the Spending Planners Institute, members of these groups, or those wishing to form a group, must advise the Spending Planners Institute of the group, the nature of the group, and the goals of the group. The Spending Planners Institute will provide support at its discretion to these groups and will monitor them to ensure that Planners are appropriately represented through the formation of these groups. Spending Planners are permitted to have social media business pages as part of their business as long as they are aligned with all the principles and guidelines of the Spending Planners Institute. Spending Planners can use their pages to provide general information to their clients but please be aware these are public pages and you need to ensure any information you give is general in nature and does not include any of the proprietary information you use in creating spending plans for your clients, or any of the proprietary information provided to you by the Spending Planners Institute. You can share information from the Institute’s public social media profiles but you cannot share information from any private groups or other Spending Planners Institute materials, without specific prior written permission. If in any doubt please check with us. From time to time, media such as TV, radio, print, online and other mediums are likely to approach Spending Planners individually. Additionally, Spending Planners may wish to contact various media mediums directly. Media Relations is a specific skill and dealing with the media is considered an uncontrolled medium – ie we don’t have control of the message and how it is delivered to the media consumer. For this reason, we have an expert PR consultant, who will manage all media relations in consultation with Institute management and help ensure Spending Planning as an industry, Spending Planners and the Institute are represented in the best possible way. As part of this approach, we have developed a Media Policy in the interest of ensuring our messages are consistent and professional, reflecting the way we all work accurately. We will keep you updated on our media activities but sometimes the media may recognise what we do as interesting and approach individual Spending Planners. When this occurs, please get the journalist’s name and contact information (phone and email) and advise them you will have someone contact them as soon as possible. They may also tell you the nature of their enquiry and/or when they are looking to run a story. Do not say “I can’t comment” or something similar, just say you will pass on their enquiry and have someone come back to them. Be polite but don’t be drawn into conversation. If they continue to ask questions, just repeat you will pass on their enquiry. Please then immediately contact the Institute and pass on the information. The Spending Planners Institute will, as best as it can, ensure that in its handling of the media, the Spending Planner who received the initial contact is included, recommended, and featured as part of that contact. The Spending Planners Institute is also spending some time ensuring that a range of spending planners and spending planner clients are trained in presenting, and responding to, media enquiries. It is a contravention of client confidentiality for Spending Planners to give out details of their clients without prior, written permission from said client. Again, the Institute will assist with this as part of managing any media contact. In the case of a Spending Planner wishing to engage media, the Spending Planner must advise the Institute of their intention to do so, and contact the Institute outlining your objectives for doing so, the intended media release, article/report etc and deals of the media you are planning to approach, for approval. The Institute is committed to helping Spending Planners build their businesses and will work with them to ensure the highest possible standard of media involvement is observed at all times. Each Certified Spending Planner understands that the Institute presents a recommended retail price schedule, but has no jurisdiction whatsoever with what each Spending Planner charges. However, all Spending Planners agree to act in the best interests of the industry, the Institute, and other Spending Planners when considering pricing schedules. Certified Spending Planners are ONLY allowed to use the approved logos as shown below. These are available in the Resources Centre. Spending Planners are unable to use the Spending Planners Institute logo. Each year a Certified Spending Planner will be chosen and awarded the title of “Spending Planner Of The Year”. The recipient of this Award will be chosen from all Spending Planners and will typically show outstanding performance in client attraction, client retention, excellence in customer service, and commitment to the ethos of the Spending Planners Institute. Ideally, they will also have contributed to the growth of other less experienced Spending Planners by encouraging them and supporting them where possible. This Award will be at the discretion of Spending Planners Institute Founder/Director David Wright. Each year a Certified Spending Planner will be chosen and awarded the title of “Outstanding New Spending Planner Of The Year”. The recipient of this Award will be chosen from a training group who completed training (including Post Event Training – the 7 week Kickstart) in the previous calendar year and will typically show outstanding performance in client attraction, client retention, excellence in customer service, and commitment to the ethos of the Spending Planners Institute. This Award will be solely based on the Spending Planner’s performance during the first two months following certification. This is the Spending Planner with the client who can demonstrate the greatest financial improvement in the last 12 months. The Spending Planner who submits the most valid customer testimonials from the last twelve-month period. The Spending Planner who is judged to have been the most active in encouraging other Spending Planners and posting positive content on the forum. Nominated by fellow Spending Planners. This award is given to a Spending Planner who did not receive any of the above awards but who made an outstanding contribution to the advancement of the Spending Planners industry. It is envisaged that in time, further awards will be made available. The Spending Planners Institute will hold an Annual Conference around January each year. This Conference will be at the expense of the Spending Planner. In the event of a death of a Spending Planner, or a Spending Planner retiring or wishing to sell their business, and the business being unable to be passed onto a Certified Spending Planner, the Spending Planners Institute agrees to consider absorbing all or part of the business and will pay the following to the estate / seller of the business (please note that this is based on figures as at the date of this Guidelines document). 90 days after takeover – the remainder of the payment, which will be adjusted to reflect revenue as it actually stands and is expected to be for the remainder of the agreed (6) month period. The following Conditions apply to website listings for paid up members of the Institute. Spending Planners will be listed in order of the number of clients they have. If a Spending Planner has no new clients for a period of three (3) or more months, OR the Spending Planner has NO clients whatsoever, the Institute reserves the right to remove their details from this site. In the future, it is envisaged that there will be the ability for Spending Planners to pay for advertising space on this website. Conditions will apply.